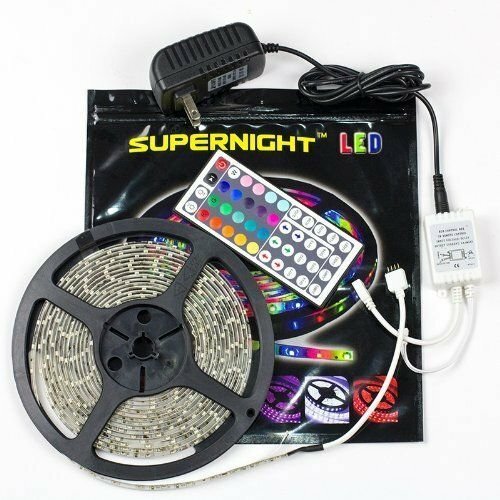 I was first introduced to these addressable Led light strips when I began to work with the Arduino micro controllers, but I soon found that you could also get complete standalone kits with power supply and a remote control that you could easily install and control in your home. I have been looking a wide variety of these kits for some installations here in my own house and I thought you — or your friends and family — might be interested, too. You can make color washes in over 256 colors or animated effects spanning the entire strand.